Hozier released the video for Better Love on June 16 and will shortly surpass 2 million views. Let’s have a look behind the scenes on the video and how it came together. While on the Los Angeles press junket for the premiere of The Legend of Tarzan, Hozier spoke about Kevin Godley directing the video. As the drummer and vocalist for the 70s band 10CC (I’m Not in Love), Kevin Godley formed a songwriting partnership with bandmate Lol Creme. Later, they would release Cry as Godley & Creme. The duo directed the video, which received praise in 1985 for its analogue cross-fade dissolve effect of faces blending. It was the video for Cry that provided inspiration for the end sequence in Michael Jackson’s 1991 video, Black or White, which with the advancement of technology, could now be achieved with a digital process called morphing. As a video director, Kevin Godley has a long list of credits that include shoots for The Police (the award-nominated Synchronicity Concert), Eric Clapton (My Father’s Eyes), Bryan Adams (Flying), Rod Stewart (Run Back Into Your Arms) and U2 (Sweetest Thing). Kevin Godley also founded the collaborative online music video platform WholeWorldBand, now called Youdio. Hozier recorded vocals to David Bowie’s Changes as his contribution to that company’s Movember campaign in November 2015. 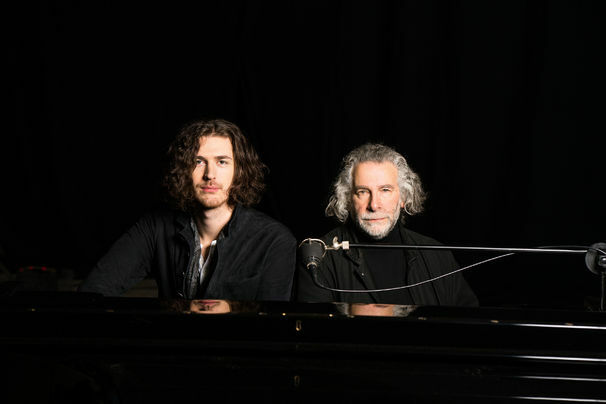 Both Hozier and Kevin Godley are residents of Co. Wicklow, so it seems fitting that the video for Better Love was shot at the legendary Ardmore Studios in Bray. What do actors Natalie Dormer and Katie McGrath have in common with Hozier? Hozier music videos and Ardmore Studios. Although Katie McGrath appeared in Hozier’s From Eden video and Natalie Dormer was in the Someone New video, the two became connected years before at Ardmore. Natalie Dormer played Anne Boleyn in The Tudors which filmed at Ardmore Studios from 2007 to 2010. While there, she met Katie McGrath who was fresh out of school and working in the costume department as a wardrobe assistant. 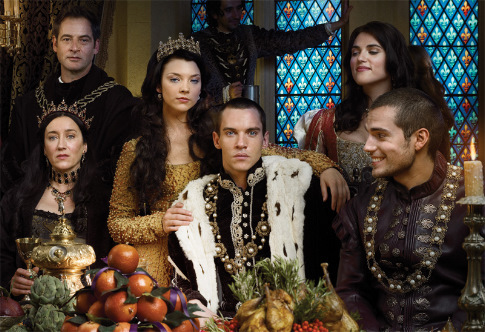 Katie had no intentions of acting, but after encouragement from those on set, she landed a few roles, including an appearance on The Tudors in 2008. Katie went on to star in Merlin and Jurassic World while Natalie stars in Game of Thrones and The Hunger Games. Hozier nominated Katie and Natalie for the ALS Ice Bucket Challenge in 2014. Now that Hozier has filmed Better Love at Ardmore Studios, they all have that in common too. Tagged ardmore studios, better love, katie mcgrath, kevin godley, natalie dormer, the legend of tarzan. Bookmark the permalink. Thank you so much for all the background research, which is fascinating and I do appreciate you sharing all your knowledge, and enjoy your posts enormously. You’re most welcome. We’re glad you enjoyed it! Thank that was very interesting! Did not realized that Kevin Godley and Andrew were both from Co Wicklow. Thanks for the info HG – enjoyed! Kevin Godley is English, but moved to Wicklow a few years back. Glad you enjoyed it!